What is a Credit Score and Why Should You Care? In the U.S., your creditworthiness, meaning how likely you are to pay your debts, is represented by a number – that is your credit score. It starts building only as soon as you enter the country, disregarding any financial history you may have abroad. When you apply for a loan, a mortgage or a credit card, prospective lenders, such as banks, will use this number to assess the risk in extending you credit. The higher the number – the better. Your credit score plays a crucial role in determining whether or not you’ll be eligible for a loan, and at what interest rate. Your credit score, which ranges between 300 and 850, is calculated based on 5 main factors: the most significant factor is your payment history – late payments will drop your score. Second, is the amount you currently owe lenders. Owing money doesn’t necessarily hurt your credit score, but using most of your credit might. Next is your credit history, meaning how long you have been using credit. Well-established accounts will have a positive effect. Also influential are the types of credit accounts you maintain, such as credit cards or installment loans. And finally, new accounts and recent inquiries from creditors might hurt your score, especially if done several times in a short period of time. Your credit score provides an overview of how you are maintaining and managing your credit. A good credit score is a must for anyone looking to get a credit card, a car loan, or even renting an apartment. Here at Lendbuzz, we understand that building a good credit score in the U.S. may take several months or even years, so we consider other factors when you apply for a loan with us, including your educational background, employment history and earnings potential. Apply today for a Lendbuzz loan to get the car you want and start building your credit score. Lendbuzz is an online lender for expats & international students in the U.S. Our car financing platform offers international professionals attractive car financing solutions – without U.S. credit history or SSN. If you are looking to buy a car – new or pre-owned – Lendbuzz partners with a wide range of auto dealers, to offer you a seamless car purchasing experience. 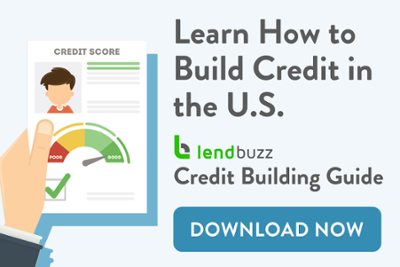 Lendbuzz offers the lowest rates, quick & easy online approval (less than 5 minutes), and consulting services on how to build your U.S. credit history. Lendbuzz is an online platform providing car loan for international students and car loan for expats in the U.S.
https://blog.lendbuzz.com/wp-content/uploads/2016/03/credit_history.jpg 267 371 LENDBUZZ https://blog.lendbuzz.com/wp-content/uploads/2016/10/logo.png LENDBUZZ2016-03-21 09:35:402017-03-06 10:28:42What is a Credit Score and Why Should You Care? Lendbuzz is an online financial services provider for expats and international students in the U.S. Our car financing and refinancing platforms, offer attractive car loans for internationals without a long U.S. credit history or a Social Security Number (SSN). Unlike other lenders, we provide loans to all visa holders (F-1, J-1, L-1, H-1B, E-1, O-1, etc.). Our customers include expats, international students, international professionals, and other young professionals that have a thin U.S. credit file. We use a data-intensive scoring technology to assess our potential customers’ individual risk profile. By considering aspects of our customers’ background and earnings that other lenders don’t, we can maximize the attractiveness of our loans and keep our rates low. Our advanced online platform enables us to run our entire operation online, while giving our customers easy access and active management of their loans. How Can You Build A Winning ML Algorithm? Can You Buy a Car with an International Driver’s License in the U.S.? 6 Best Cities for International Students in the U.S.
5 Tips for Building Your U.S. Credit Score Moving to the U.S. – Should you Buy a Car from a Dealership?